Whether you are building dynamic network models or forecasting real-world behavior, this book illustrates how graph algorithms deliver value: from finding vulnerabilities and bottlenecks to detecting communities and improving machine learning predictions. 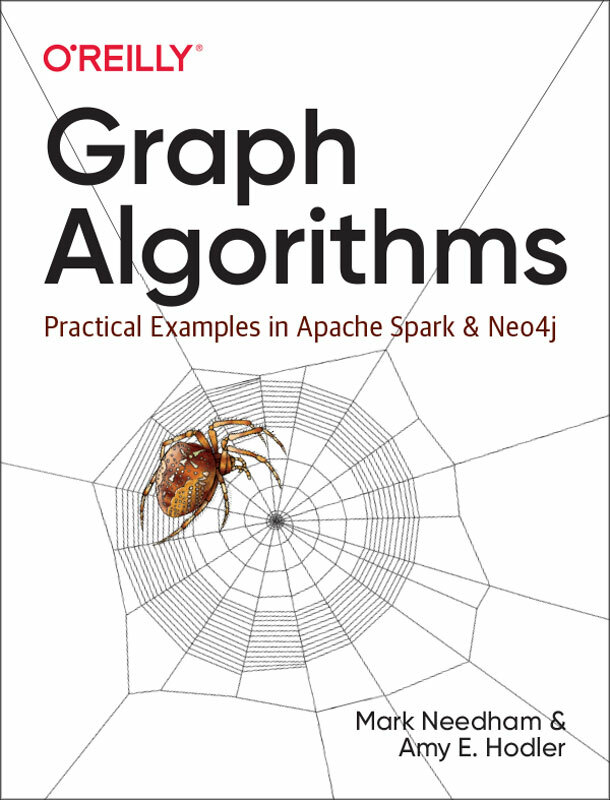 Fill out the form for your free copy of Graph Algorithms: Practical Examples in Apache Spark and Neo4j by Mark Needham and Amy E. Hodler. A practical and informative guide to gaining insights on connected data by detecting patterns and structures with graph algorithms. This book is a must-read for developers working with graph databases. The Neo4j Graph Platform takes a connections-first approach to data. It broadens a company’s ability recognize the importance of persisting relationships and connections through every transition of existence: from idea, to design in a logical model, to implementation in a physical model, to operation using a query language and to persistence within a scalable, reliable database.